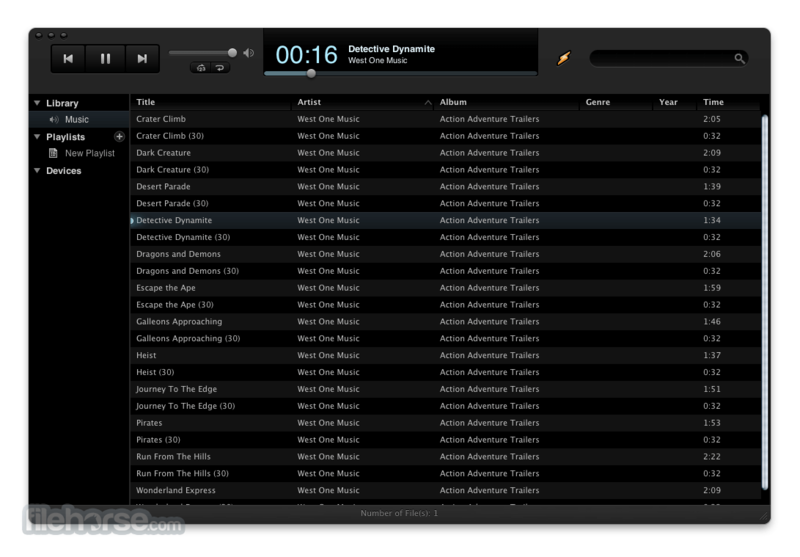 Winamp for Mac is a free multimedia player made by Nullsoft. It supports numerous audio and video formats. It also plays streamed video and audio content, both live and recorded, authored worldwide. Winamp supports playback of many audio (MP3, OGG, AAC, WAV, MOD, XM, S3M, IT, MIDI, etc) and video types (AVI, ASF, MPEG, NSV). 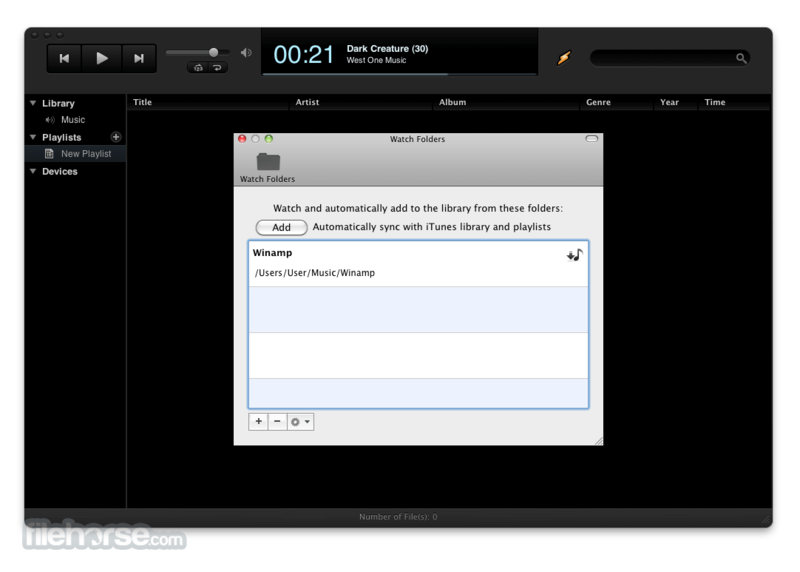 It has an extremely customizable media library, and allows you to rip and burn your favorite music CDs. 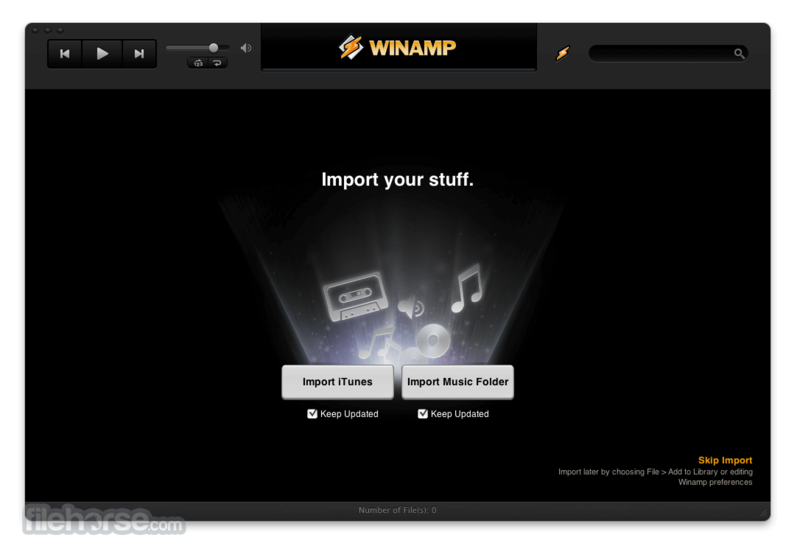 Winamp for Mac has thousands of skins and plug-ins that allow you to change the look-and-feel of the player, as well as add new features. The player also has access to thousands of free songs, videos and online radio stations from SHOUTcast Radio and AOL Radio with XM.